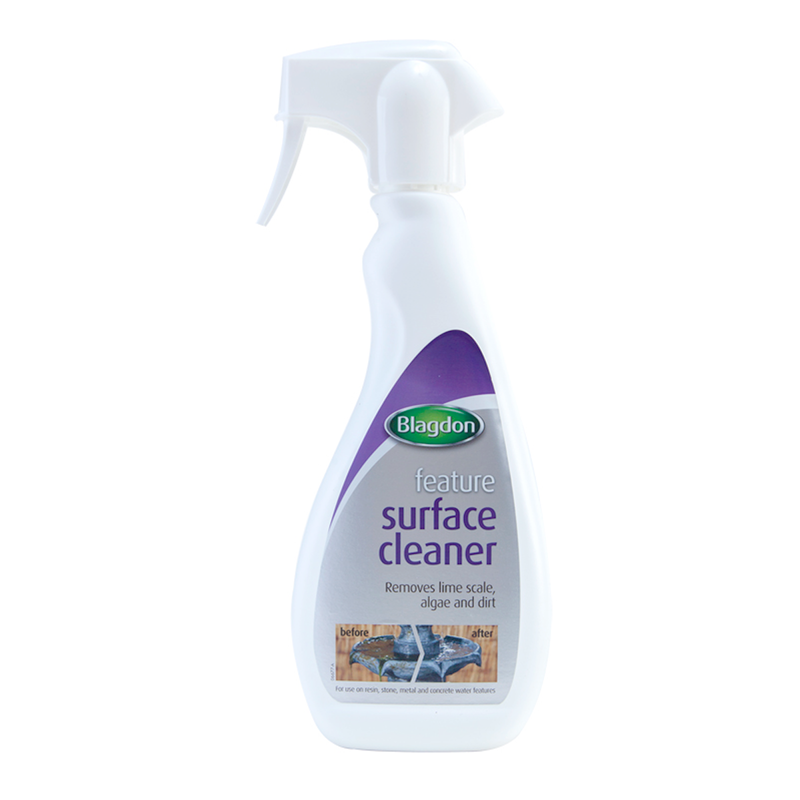 Blagdon Feature Surface Cleaner is the perfect tool for breaking down lime scale, dirt and algae on Resin, Stone, Metal and Concrete Water Features. 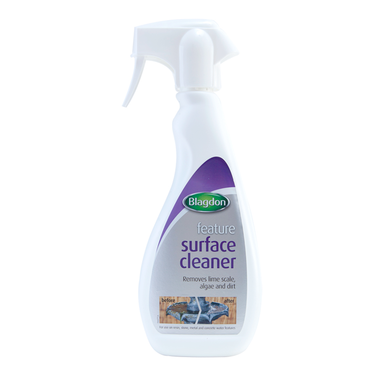 Blagdon Feature Surface Cleaner provides an easy to use spray application which allows for easy, hassle free cleaning. Just spray Feature Surface Cleaner on your Water Feature, leave it for 15 minutes to work then proceed to use a soft clean cloth to wipe any stubborn stains before rinsing it all off with water.